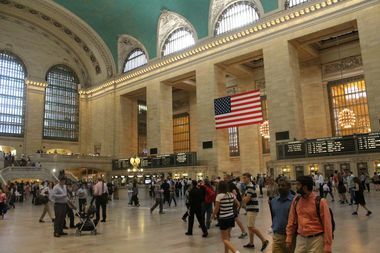 MANHATTAN — Amtrak trains may be re-routed to Grand Central Terminal this summer while repairs are going on at Penn Station, according to the MTA. State and transit officials are discussing the possibility of moving some of the 12 Amtrak trains to Grand Central to avoid an outage, but so far no plans have been finalized, MTA spokeswoman Beth DeFalco said. "We are still in conversation," she said. "We're talking and meeting with Amtrak regularly... We're hoping to have a final announcement and schedule put out soon." Amtrak president and CEO Wick Moorman announced last week that infrastructure repairs at Penn Station are expected to take place for roughly three weeks in July and three weeks in August — at least two tracks at a time. Plans include refurbishing the interiors of its cars, fixing the PA system and creating an entity that brings in private expertise to improve the station and its customer service. The repairs were announced in the wake of recent delays and derailments at the station. Assembly members John McDonald and Patricia Fahy with Senator Neil Breslin pitched the idea of using Grand Central Terminal in the interim in a letter to Moorman on May 3. "Many of our constituents travel by Amtrak from Albany-Rensselaer to Penn Station to commute for work and to visit New York City for leisure, especially in the summer," the letter states. "In the interest of being solution oriented, we would suggest exploring the feasibility of re-routing trains to Grand Central [Terminal] in the interim, especially in light of the fact that 20 years ago most trains were routed to Grand Central rather than Penn Station." A spokeswoman for Amtrak said it is "reviewing all possible options" but no plan has been finalized.